my favorite summer tradition is going to our local italian festival each year on labor day weekend. it's so special because it is where ryan and i went on our very first date and we always look forward to going back annually. it's the perfect way to close out the summer too. we headed down to the festival with my parents on sunday to walk around, eat, and watch the fireworks. we had a bunch of delicious italian food for dinner, then we sampled a few different italian sweets for dessert. ryan and i went back down to the festival again on monday for an early dinner. it was much less crowded than it was on sunday, so it was nice to walk around and soak it all in before the festival came to a close until next year. the countdown is on for next year's festival! 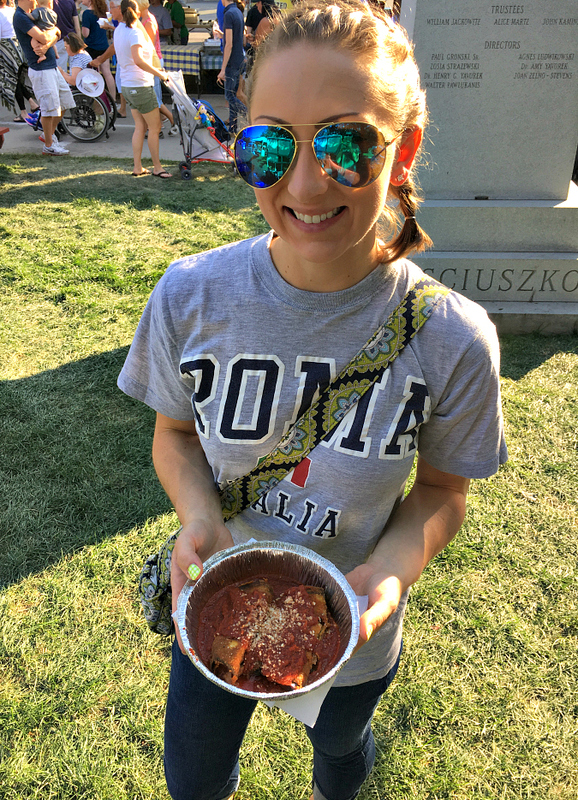 The Italian Festival is always a lot of fun. Thanks for inviting us. Getting hungry for some Pizza Fritta.